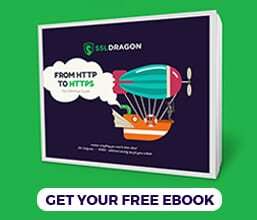 This guide provides detailed instructions on how to generate a CSR code and install an SSL Certificate on Postfix mail transfer agent. It also includes a few interesting facts about Postfix, as well as useful information on where to buy the best SSL certificate for Postfix. Where to buy the best SSL certificate for Postfix? 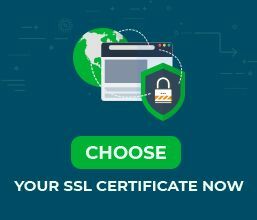 To obtain an SSL Certificate from a trusted CA (Certificate Authority) ,you must submit a CSR (Certificate Signing Request) to your SSL provider. CSR is a block of encoded text with your contact data such as website and company information. Since Postfix doesn’t encrypt individual emails, but the communication between clients and servers, the optimal way to generate a CSR is via the OpenSSL utility. It should already be installed on your server, but if it isn’t, you can get OpenSSL from here. Country Name: specify the two-letter code of your country. For instance, US or UK. During the order process with your SSL vendor, you will have to open the CSR file and copy-paste the whole text into the corresponding box. Use any text editor such as Notepad to open the CSR code. Note: you can place all three files in a single directory. For example, /etc/postfix. Note: For the purpose of this demonstration we assume that all your SSL files reside in /etc/postfix/ directory. Restart Postfix via the sudo postfix reload command. Congratulations, you’ve successfully installed an SSL Certificate on Postfix. After you install an SSL Certificate on Postfix, it’s always wise to scan your new installation for potential errors or vulnerabilities, just to be on the safe side of things. With these powerful SSL tools, you can get instant reports on all aspects of your SSL Certificate and its configuration. Postfix is a free and open-source MTA (mail transfer agent) that routes and delivers electronic mail. Developed by Wietse Venema in 1997, Postfix is currently released under the IBM Public License 1.0 and Eclipse Public License 2.0.